Do you have college students going back to school soon? 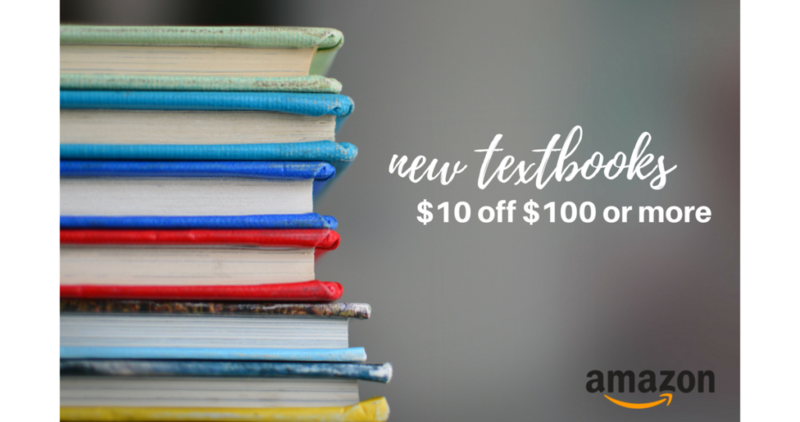 Right now Amazon is offering $10 off your purchase of $100 or more of new textbooks! This deal is perfect if you have a college student needing textbooks for the new semester. Use promo code TEXT10 at checkout to get your discount. Note: Offer only applies to products sold by Amazon.com and does not apply to digital content. Offer valid until 1/18. Shipping is free.